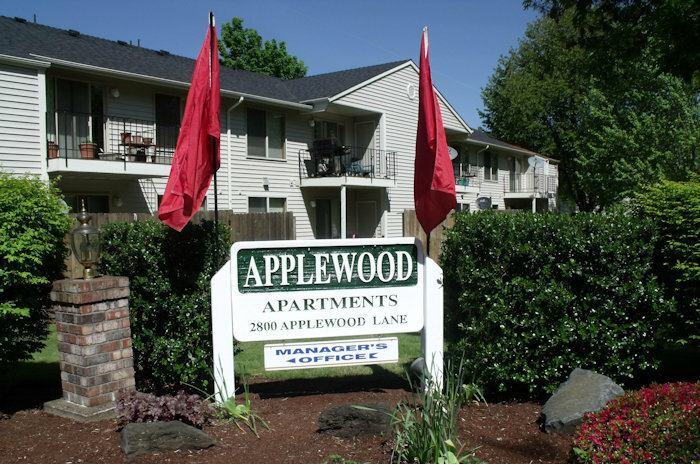 Conveniently located close to downtown Eugene, Oregon— one of the most livable cities in the United States, Applewood Apartments is only minutes from schools, indoor malls, professional offices and River Ridge Golf Course. Shopping, such as Market of Choice, Wal-Mart, Dicks’s Sporting Goods, deli’s, pizza, beauty salons and more are all within a few minutes walking distance. When you visit Applewood, you will see its beautifully manicured grounds. Our site will immediately give you a sense of community. As an Applewood resident you can enjoy our beautiful recreation room fitness center, and the private outside picnic tables with barbecues (covered area). We invite you to become a member of our community!